— Michelangelo. I often feel that this is what a good manager does with a employee. The same is true is with good teacher or parent. We see something in a person and help them realize their potential. Figure 1: Some US Coins (Source). I rarely think of the US government as producing any physical products, but there is one product that only it produces and that is extremely profitable – US money. The government sells money at its face value, which historically has had higher value than the cost of manufacturing it. In the year 2010, the US Mint generated $6.3 billion in profit from selling the money it manufactures. However, all is not well in world of coin minting. 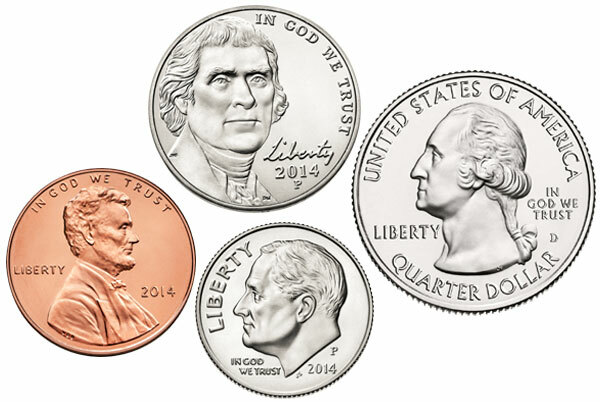 The penny and nickel now have production costs higher than their face value. This means that the government is now losing money on their production – $105 M in 2014. The US Mint is now considering eliminating production of the penny – an act that Canada has already taken with its penny. In this post, I will look at the cost of producing coins and see if I can understand the government's stated losses for penny's and nickels. When you talk about the government's sale of coins, you will often encounter the following word. Profit made by a government by issuing currency, especially the difference between the face value of coins and their production costs. Table 1 shows the 2014 production costs for the most common coins. Table 1: US Mint's Coin Production Costs. The lifetime aspect of a coin versus a paper bill is very interesting. While the one dollar bill is cheap to make, it only lasts 18 months before you have to make a replacement. To keep one dollar in circulation for a 30 years costs the government 60¢ for a paper bill and only 12¢ for a coin – a paper bill cost 5x more than a coin to keep in circulation. In other words, the dollar coin requires a higher initial outlay but a lower total cost of ownership. Dollar coins have not been successful in the US. I regularly use them because the change machine in our company cafeteria puts them out when you insert a $5 bill. I grabbed some coin production figures from the US mint web site, threw in the numbers I found for the cost of making the coins, and came pretty close to the government's stated 2014 loss of $105 M on penny and nickel production (Table 2). The government has net positive income from selling coins because the other coins (dimes, quarter, half-dollars, dollar) have positive seigniorage. Table 2: Estimating the Government's Losses for Selling Penny's and Nickles. I personally do not see much need for the penny. When I was a child, we actually did not use pennies often because most items were priced in terms of even numbers of nickels, dimes, and quarters. However, the imposition of a Minnesota sales tax in 1967 meant the now penny had a role in nearly every transaction. Now the government is considering getting rid of the penny because it is losing ~$100 M per year on making it – an amount less than the cost of one F35 fighter. Thanks for collecting and presenting some clear data on the cost of pennies and nickles. To me it seems to obvious that we have to eliminate them along with the dollar bill. I don't even carry any coins except dollars. However, it is the system-level issues that are more important. What will be the impact of dropping these coins on people's behavior? Will the switch to credit and debit cards and phones for transactions be accelerated? How does the use of cash impact fraud? So many questions and very few useful models to predict outcomes. Designing widgets is easier than trying to guess what people will do. We engineers need to find good ways to broaden the application of our problem-solving tools to such questions without adding to the useless nonsense that seems to drive most political discussions. This post was motivated by a discussion I had with my son who works in finance. He has been wondering when all transactions will be handled electronically. He wants to go one step further and eliminate currency conversions – essentially everyone would use a form of Bitcoin. It would certainly change crime. For example, it would eliminate any gain from robbery. One issue with introducing new systems is that so many people make money from the transaction costs. This is one of the issues with reforming our medical insurance system.